Our "QUAD"Head is nothing short of AMAZING! 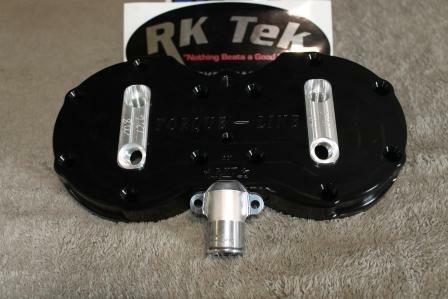 This head will completely change the way your engine performs! There is NO other "bolt on" item you can add that will provide the gains this head will!! The ENTIRE power-band is widened and the throttle response is increased drastically! Top end speed is increased! The power will come on sooner and allow for more over-rev. This will come in real handy when adding pipes!! !